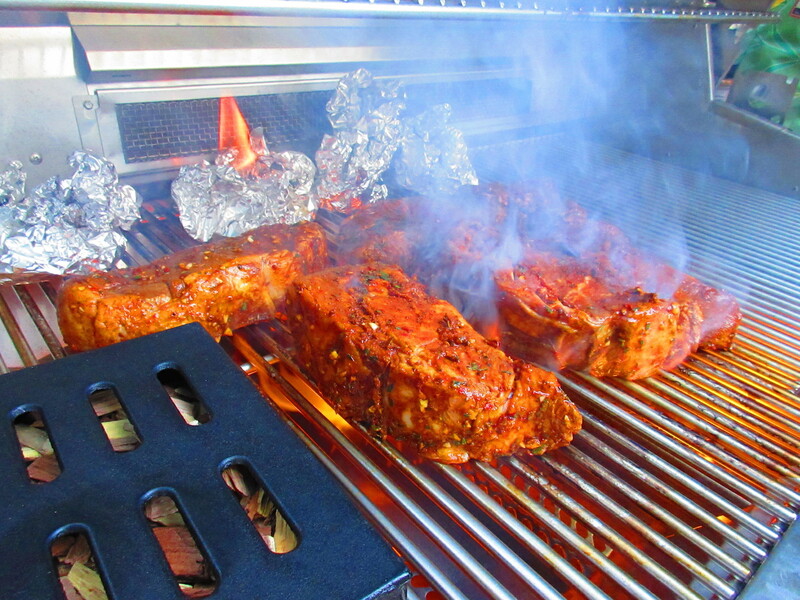 These are the actual Steaks being cooked by a new Gas Grill Owner, during a Private BBQ Lesson this past Summer. Considering your grilling credentials I wanted to see if you could give us some advice. I am the founder of Ordinary Men’s Club. We are a social club for men that is focused on men’s interests, hobbies, pastimes, and passions. Of course Grilling ranks high on most men’s interests. We are preparing to host our first Grilling Class. We are thinking of a 4 hour class for 24 People. Our first hour of class will focus on preparation, seasoning, and basic knife skills. The next 3 hours will be broken into 6-30 minute segments of hands on grilling. The segments will be steaks, chops, chicken, artisan sausages, vegetables, and seafood. We have been working with the local Chefs Academy to be the instructors. Edward- Thank You for inspiring this Blog, as I am sure that other organizations may also be interested in hosting similar events. 1. Plan a Strategic Menu and Allow plenty of time for Cooking- My Group Grilling Lessons always start with a Quick Appetizer or Snack, like Smoked Popcorn. BBQ Potato or Tortilla Chips. Then we “Strike while the grill is hot”, preparing the main dish needing the longest cooking time first, and getting it on the Grill. Then we do a series of Appetizers and Side Dishes with any available Grill Space. To do a “Hands On” Cooking Class for 24, I’d recommend you have at least 2-4 Grills available. 2. Create Informational and Recipe Handouts and provide extra Pens for note taking– It is always good to do handouts that the Class can follow along and take notes. This can include BBQ Technique and Recipe Articles found online, or from Cooking Instructors. If you decide to use my recommended BBQ Rub HEROIC!, there is a California Gold BBQ Rubs New Owner’s Manual, that you can paste and print to hand out in Class. 3. Hire a Professional Chef or Seasoned Grill Master who is willing to share their Techniques- You have already hired someone for your Course, which is great. A good Cooking Instructor should be able to demonstrate Techniques, Teach Food Safety and help Participants do Grilling while answering their Questions. 5. Be Prepared- Goes without saying, but make sure you have carefully created and fulfilled your Shopping List, including possible take-away Gift Bags for all participants. Give a budget for Supplies to any hired Instructor, or request a full Needs List from them. Also consider the best location based on the availability of Food Preparation Space and hand/dishwashing facilities. Supply hand sanitizer, either way. Finally, relax and have fun. Nothing ever goes exactly as planned. At the end of the day, if participants leave with the knowledge and confidence to do more Grilling at home, your event will have been a success. Good Luck and Happy Grilling!